At some point over the next two weeks, my friends and I will be packing our picnic rugs and heading off to Wimbledon, home of the All England Lawn Tennis Club, ready to set up camp on Henman Hill – I refuse to call it Murray Mount – while eating strawberries and drinking Pimm’s in the quintessential English fashion. With any luck last week’s torrential London downpours will have been forgotten, the sun will be shining and the birds will be singing – all setting the scene for a perfect day of comfortable wins and shock defeats. Crowds will be holding their breath to see if, following his success at Queen’s, Andy Murray will finally give the Brits a win. However, in the 21st century, Wimbledon is no longer just about tennis and you’d have to have been living under a rock not to notice how times are changing and the sheer PR pulling power which The Championships now hold. 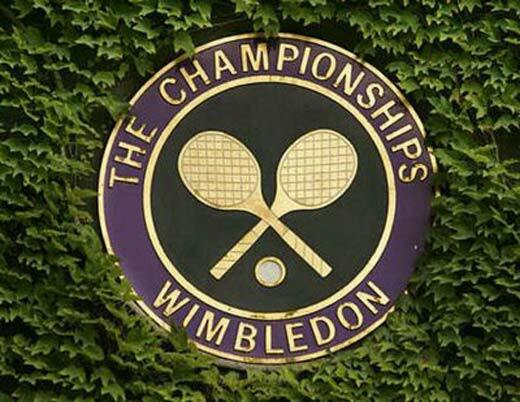 Take for example English Strawberries and Pimm’s – two products that epitomise Wimbledon. From the start of every summer, English Strawberries gain more column inches than all other summer fruit put together; whether it’s in reports from the British Food Industry or supermarkets gaining publicity over ‘better value’ strawberries sold in stores compared to the bowls sold at Wimbledon (£2.50 for a large bowl with cream). This year, due to the amazing weather in April and May, supermarkets will be receiving 1,600 tonnes of British Strawberries – four times the 2010 amount – and will no doubt help trump last year’s sales which were already up 108 per cent on the year before. In 2010, Pimm’s maker Diageo spent £2m in advertising, marketing and PR, and it paid off with record sales. And in 2011, albeit partly influenced by the Royal Wedding, Pimm’s is already reporting a 318 per cent sales increase on last year. And it’s not just food and drink brands that benefit from their association with The Championships: security firms, car hire firms, watchmakers, computer technology firms and financial providers are all examples of companies which use their connection with The Championships for the sole aim of showcasing their products to consumers. Sony has even recreated its infamous ‘bouncing balls’ advert with thousands of tennis balls making their way through the leafy avenues of SW19, all to launch the new Sony Bravia 3D TV because, of course, the semis and the final will be broadcast in 3D this year. Along with the ‘Official Suppliers’ other brands which cash-in are those associated with the players; following the tournament, the tennis stars of tomorrow snap up the latest Wilson racket, Nike trainers and adidas shorts – although I doubt any of them have managed to scrape together enough pocket money to buy the £1m Richard Mille watch Rafael Nadal has been wearing. Unlike Nadal, Federer or even Murray, the brands are the true winners of Wimbledon, and perhaps I only see this because I work in PR which makes me more attune to this than others (because I guarantee that my friends won’t notice anything other than the men in shorts) – but that won’t stop me returning year after year, rooting for a (fingers crossed) British win. Finally.